Magic has never really made a successful transition to film. 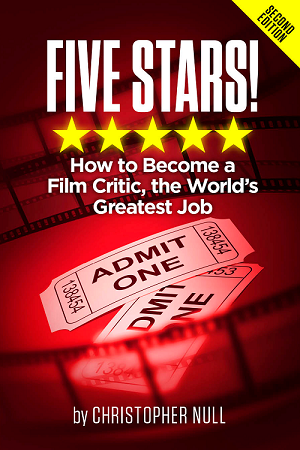 While recent films like The Illusionist and The Prestige provided limited returns artistically (and financially), prestidigitation is best kept as a live experience. After all, as the experts say, the unmoving eye of a camera makes misdirection very difficult indeed. So it’s refreshing that director Louis Leterrier has found a way to turn sleight of hand and smoke and mirrors into a compelling cinematic experience. Granted, it’s part of a weird amalgamation of heist film, police procedural, and mystery whodunit, but Now You See Me manages to put these pieces together in a way that’s both satisfying — and a bit scattered. We are first introduced to the gathering of professional magicians known as “the Four Horsemen” — Chris Angel-like J. Daniel Atlas (Jesse Eisenberg), street con-man Jack Wilder (Dave Franco), mentalist Merritt Osbourne (Woody Harrelson), and escape artist Henley Reeves (Isla Fisher) — as they are plying their individual trades. Responding to an invitation to come together, they join forces with a rich industrialist (Michael Caine) to become a popular live act. During one of their shows, they appear to rob a bank in Paris. Soon, gruff FBI agent Dylan Rhodes (Mark Ruffalo) and Interpol specialist Alma Vargas (Mélanie Laurent) involved it tracking how they did it. Then they commit another “crime.” With the help of magic debunker Thaddeus Bradley (Morgan Freeman), the police hope to prove these people are common thieves, not masters of some mysterious art. Now You See Me is a film so over-packed with possibilities that when it wastes a few, you really don’t care. Director Leterrier will simply make sure that the bits that are there are served up with style and wit, and before long, we no longer miss the available opportunities. Instead, we relish the three main heists, enjoy the random bits of amplified action, and wait for the inevitable denouement where the truth will finally be told. When it arrives (and it’s not as obvious as one initially thinks) the finale firmly completes the package. We feel sated, even if we find ourselves slipping back into questions of motive, intent, character dynamic, and logic. Now You See Me is a movie that will defend itself vehemently, claiming everything you see has a rational link to everything else. In reality, however, it has a few flaws that never take away from your overall enjoyment. The acting here is excellent. Ruffalo makes for a wonderfully angry Fed, especially when he is constantly being outsmarted by the Horsemen. He is well matched by Laurent, who play’s the film’s potential red herring very well. 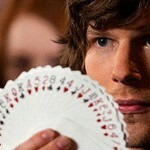 As for our magicians, only Eisenberg and Harrelson are given anything significant to do. Their dialogue is loaded with quips, put downs, and ironic asides that define their egos and ambitions. Franco and Fisher? No so much. That just leaves Dark Knight holdovers Caine and Freeman to find the proper balance between cameo and character, and they do so with ease. As a matter of fact, the only real issue here is the script. It tries to do so much, and succeeds so often, that the minor quibbles and coincidences become insignificant. They do rough up the edges of an otherwise smooth experience. In fact, Now You See Me is so smart and so much fun that it makes you forget you are watching a carefully conceived commercial product aimed at filling the gap between anticipated popcorn tentpoles. Magic (and the cinematic complications that come with it) may be a mere backdrop here, but the ins and outs of the profession, and the amazing results of same, that make this movie a real delight.